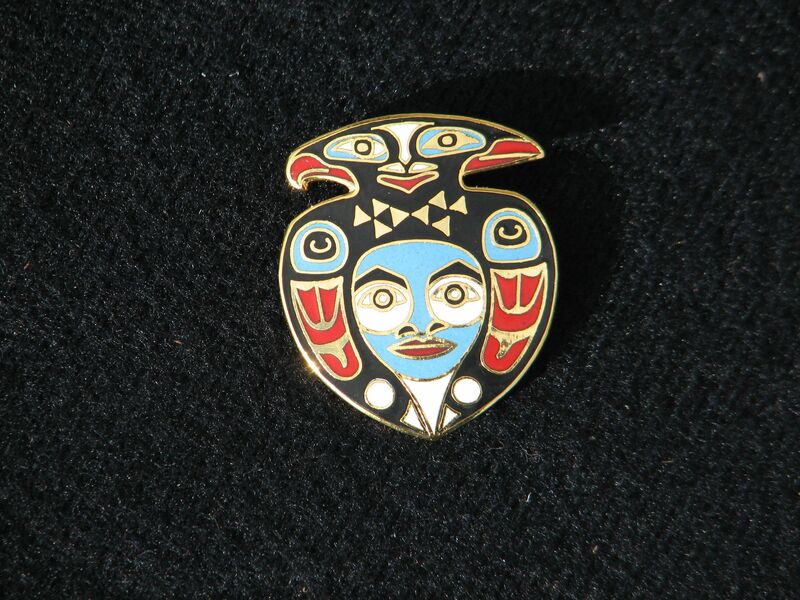 Genuine Cloisonne Love Spirit Pin designed by Tresham Gregg in Haines, Alaska representing the marraige of the two main clans of the Native people of the Northwest Coast - the Eagles and Ravens. Each person was either an Eagel or Raven clan and had to marry the opposite clan. When the two are seen on the same piece of art work, it was the love theme.